Toasted, buttered, as a sandwich or for sopping up gravy or soup, homemade bread is amazingly satisfying. 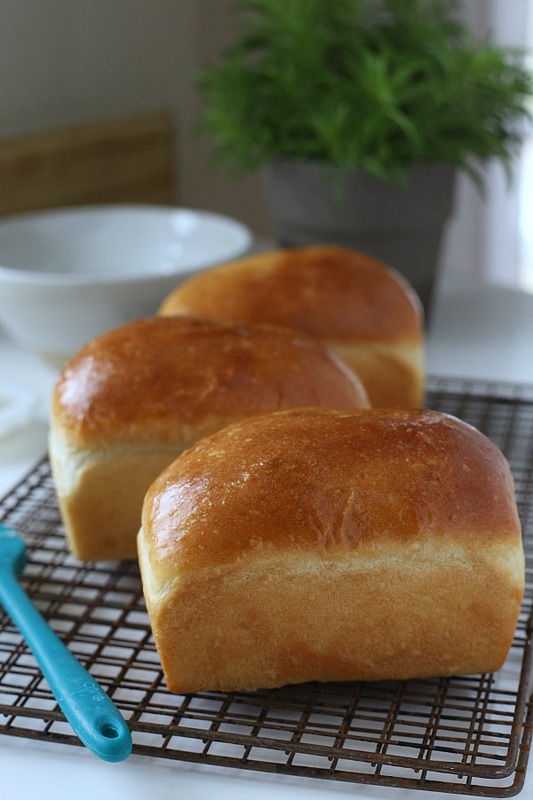 This very easy potato bread works for breakfast, lunch and dinner. 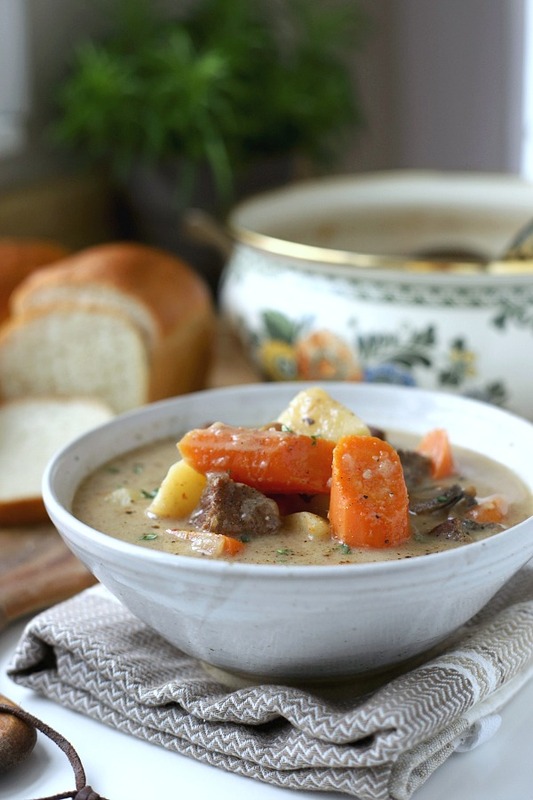 Planning this weeks menus, I knew homemade bread would be perfect for a stew scheduled. Baking bread is lovely anytime of year but especially perfect for a blah and dreary day in January. In all honesty, we could have just eaten buttered bread for dinner because it is that good. But we were good and ate a well balanced meal. 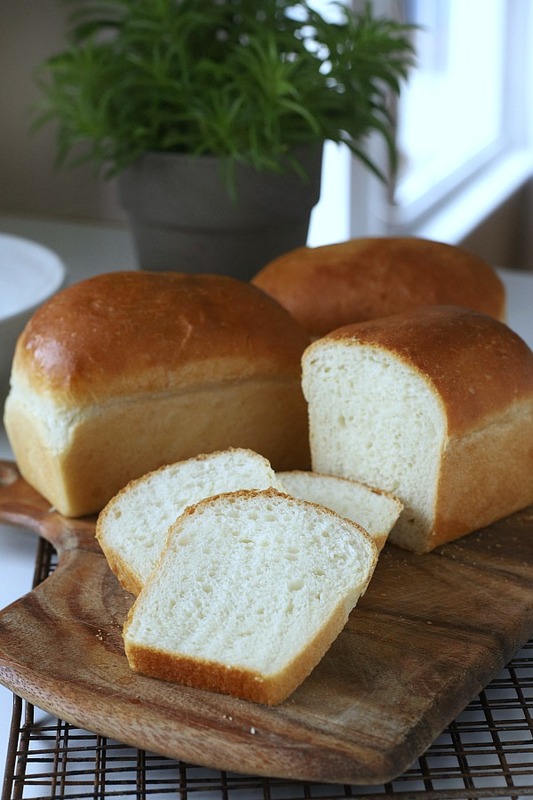 The bread can be baked in a standard 8 1/2-inch x 4 1/2-inch pan but these smaller loaves look so cute and slice to a nice size. (There is a link below to the pans I use from Amazon, measuring 5.75-inch by 3.25-inch by 2.25-inch). 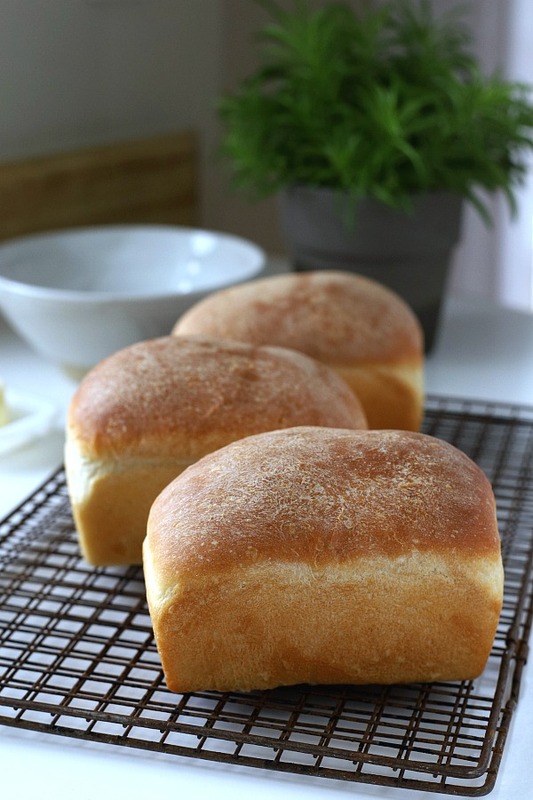 Here are the basic ingredients used in making this potato bread recipe. 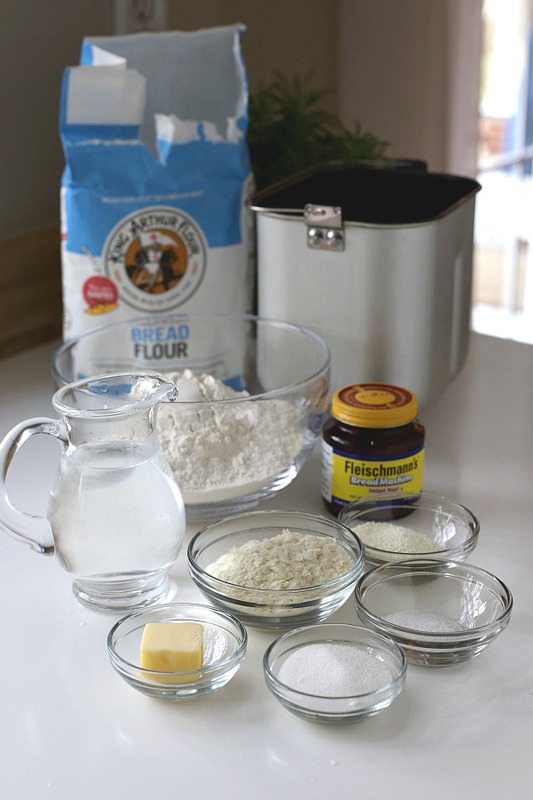 Begin by measuring the ingredients carefully and adding to the bread machine pan in order specified by owner’s manual. Usually the liquid and butter followed by the dry ingredients. 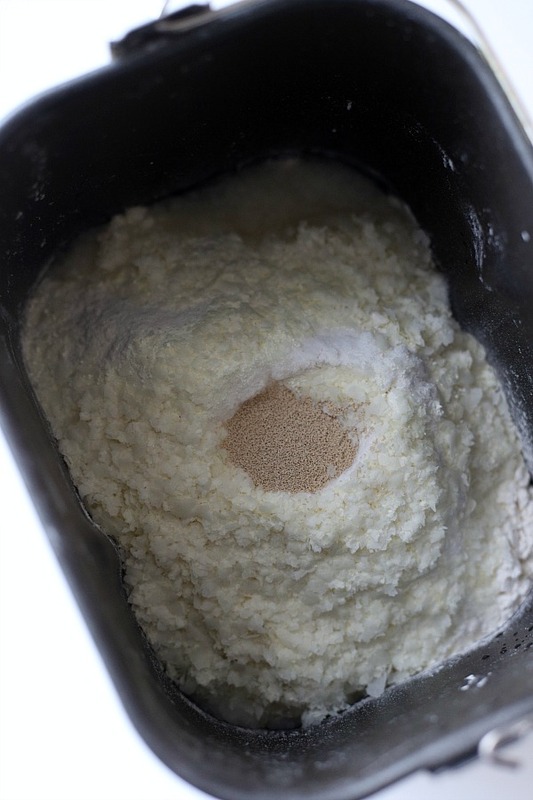 Make a well in the center of the dry ingredients and add the yeast. Choose the dough setting on machine; press start. After a few minutes into the cycle, I like to open the lid to be sure the dough looks right and using a spatula, scrape down any ingredients clinging to the sides. Occasionally I will need to add a little more flour if the dough looks too wet. No need today. 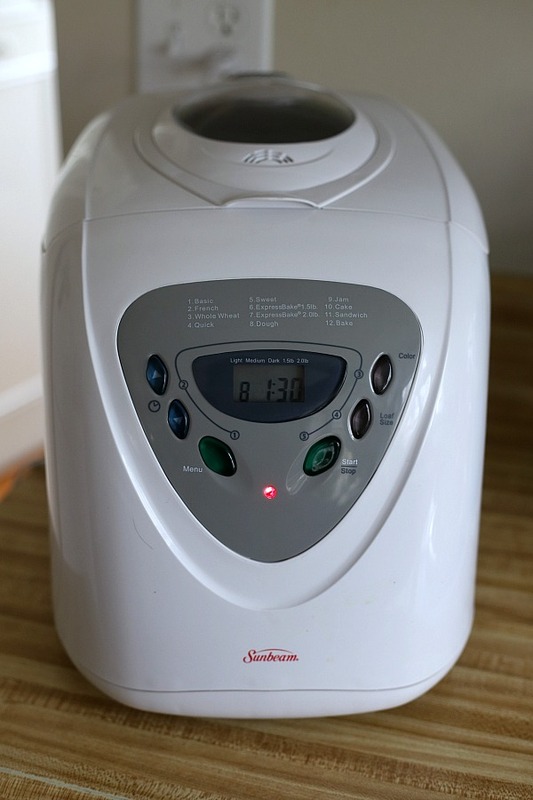 When the bread machine is finished, remove dough to a lightly oiled or lightly floured surface. I prefer to work on an oiled surface but it is up to you. Using a knife or a bench scraper, divide the dough in thirds. 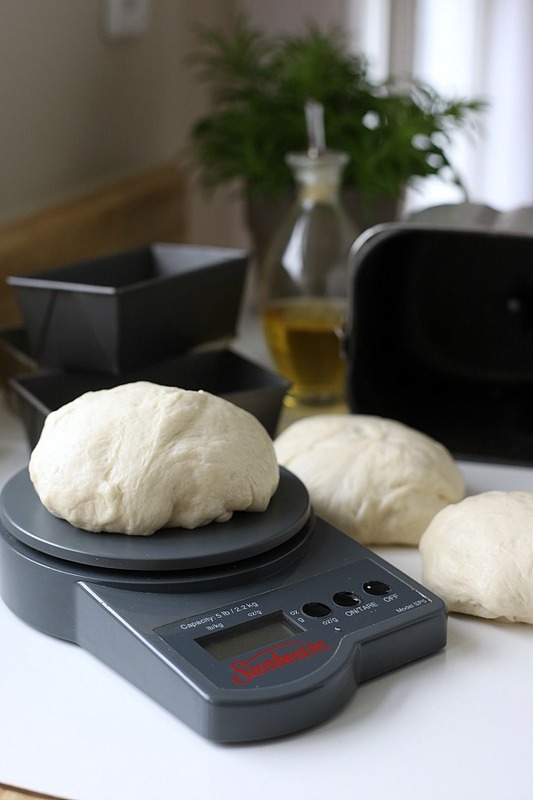 You can use a kitchen scale to ensure that the three pieces of dough are exactly even. Shape the dough and place, seam side down and smooth side up in a pan that’s been sprayed with cooking spray. Cover loosely with lint-free towel or plastic wrap that has been sprayed with cooking spray. Allow to rise in a warm space until doubled in size and risen just past the top of the pan. 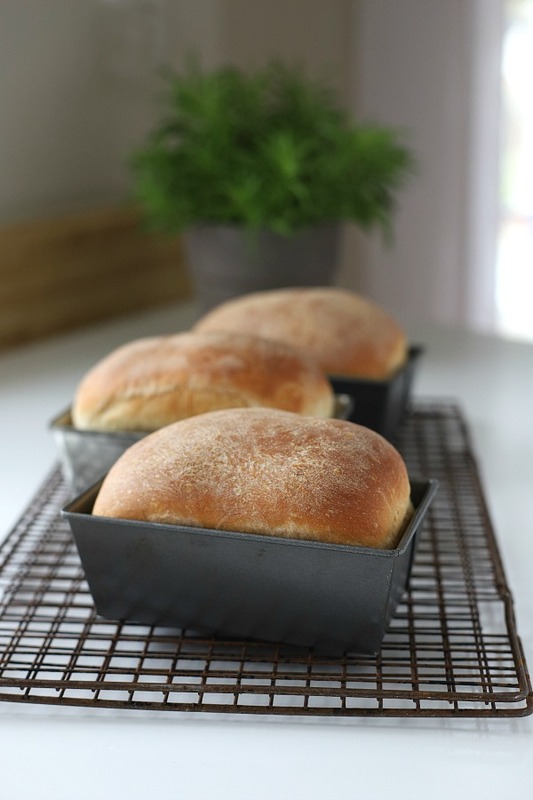 Allow the bread to rest a few minutes before turning onto a cooling rack. If desired, brush warm loaves with softened butter. 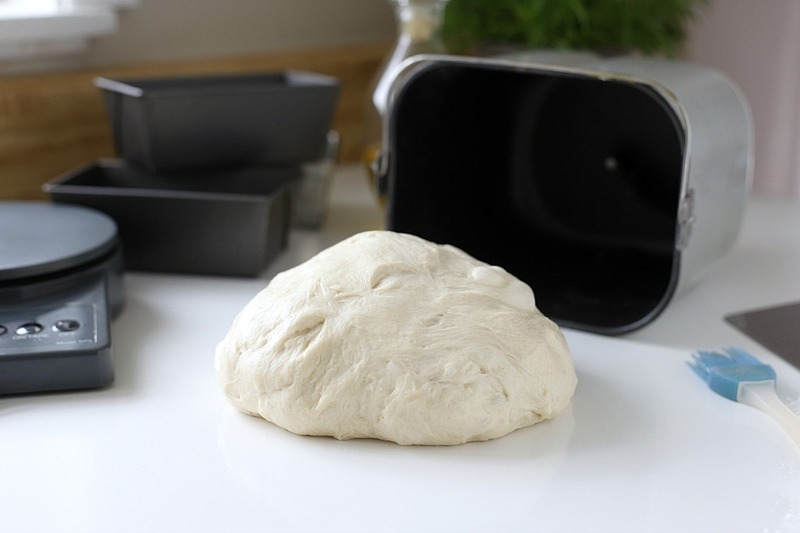 Measure ingredients carefully and add to bread machine pan in order specified by owner’s manual. Usually the liquid and butter followed by the dry ingredients and finally the yeast. Choose the dough setting on machine; press start. 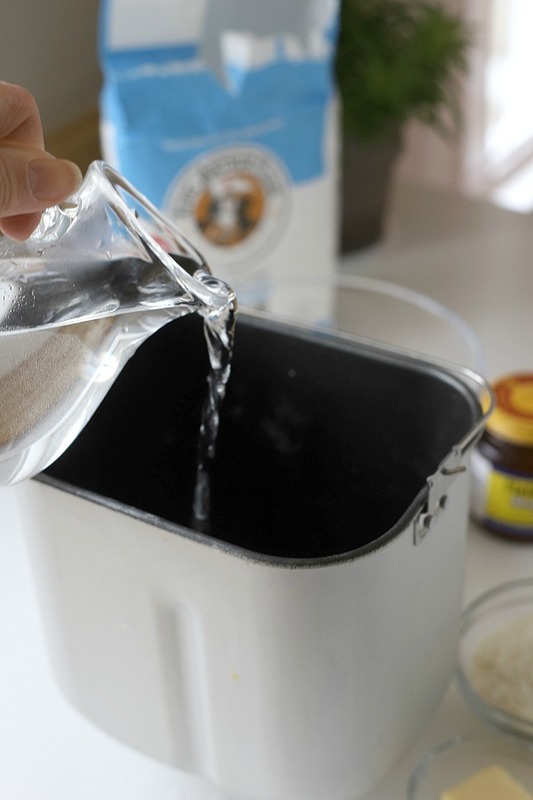 When the bread machine is finished, remove dough to a lightly oiled or lightly floured surface. Place the dough, seam side down and smooth side up in a (5.75-inch by 3.25-inch by 2.25-inch) pan that’s been sprayed with cooking spray. The dough does not need to fill the entire bottom of the pan because it will expand to fill the pan as it rises. Repeat the shaping process with the other two pieces of dough. Then, cover the pans of dough with a lint-free dishtowel or a piece of plastic wrap that’s been sprayed with cooking spray. Allow to rise in a warm space for 45 minutes to an hour and a half, or until it is doubled in size and it has risen just past the top of the pan. Bake in a preheated 350F oven about 30-35 minutes and the crust is browned and firm. Remove from oven and let rest a few minutes before turning from pans to a cooling rack. If desired, brush warm loaves with softened butter. What size are those bread pans? 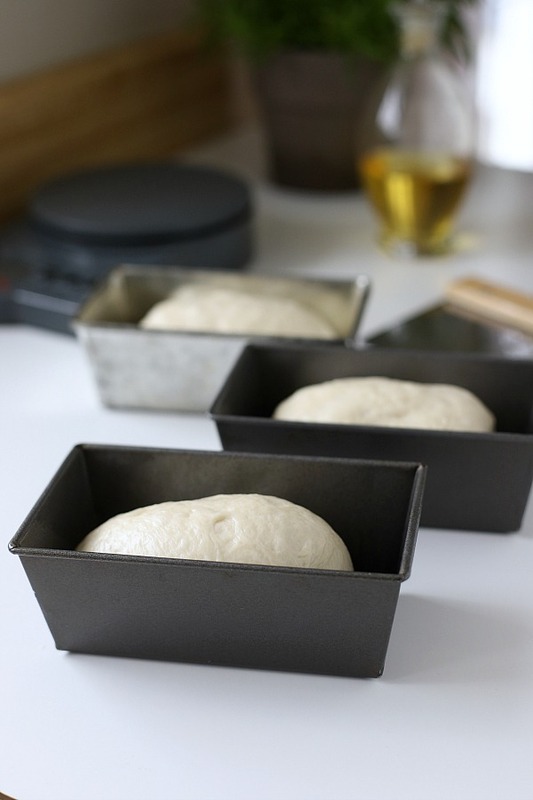 The small loaf pans I use measure 5.75-inch by 3.25-inch by 2.25-inch. There is a link at the bottom of the post to where I purchased them. 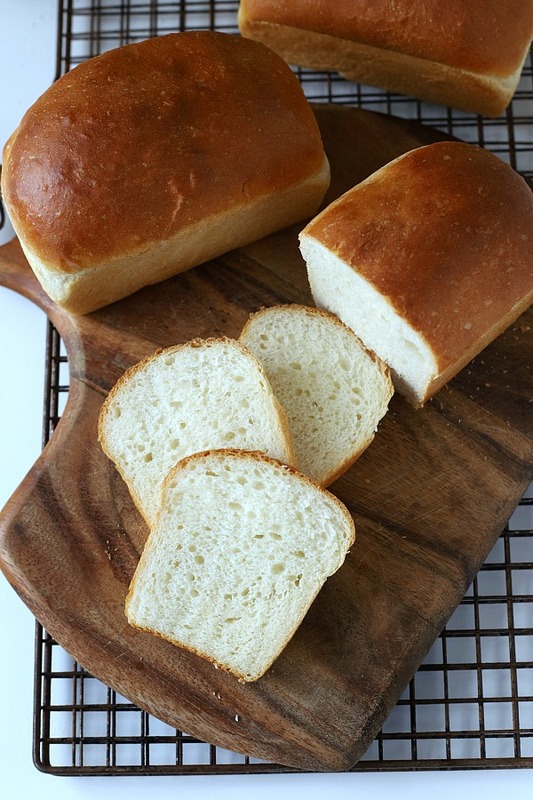 I use them frequently for both yeast and quick bread recipes. I love them because they make the perfect size slices for both lunch sandwiches and also for grandchildren portions. 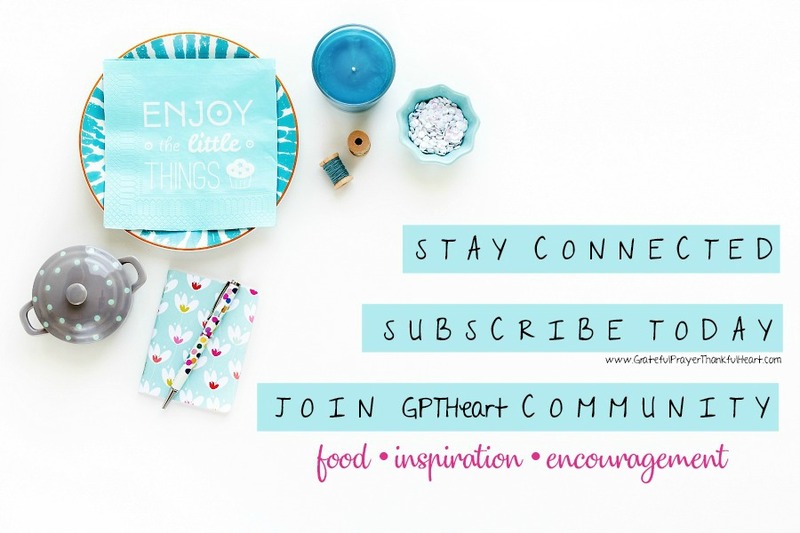 It helps the little ones avoid taking more than they can eat and being wasteful.